Nathali Bertran feels like the clock is ticking on her life. The future of everything she knows -- her family, friends, the small business she built and her job as an engineer with Honda -- all depend on whether Congress will step in before young undocumented immigrants like her lose their protected status in the United States. The 25-year-old Dreamer is one of nearly 689,000 undocumented immigrants who were brought into the U.S. as children and gained protection from deportation through the Deferred Action for Childhood Arrivals (DACA) program. 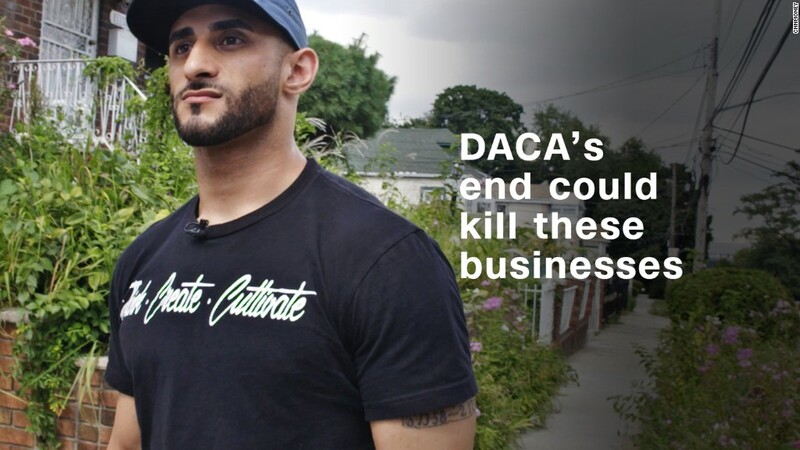 Since 2012, DACA has enabled these young immigrants to come out from the shadows and get the documentation they need to secure a driver's license, apply for scholarships, get a job and even open their own businesses. But in September, President Trump rescinded DACA and left it in Congress' hands to save it. Democratic lawmakers say they want to add provisions that will protect DACA recipients to the year-end spending bill, which they must pass by December 22 in order to avert a government shutdown. But Republicans have said such a move would be a deal breaker. Should Congress fail to enact alternative legislation by March 5 of next year, an average of 915 Dreamers will lose their DACA status -- and protection from deportation -- every day until March, 2020, according to the Migration Policy Institute, an immigration think tank. Related: Who are America's Dreamers? "I feel like we're being held hostage by the politics in Washington," said Bertran, whose family brought her to the U.S. from Peru when she was nine. "First Republicans ended DACA. Now Democrats are threatening to shut down the government if there is no deal with Republicans on DACA." Bertran was among a group of 100 Dreamers who met with members of Congress in Washington, D.C., in October to gather support for the Dream Act, which would provide a permanent legislative solution for DACA recipients. 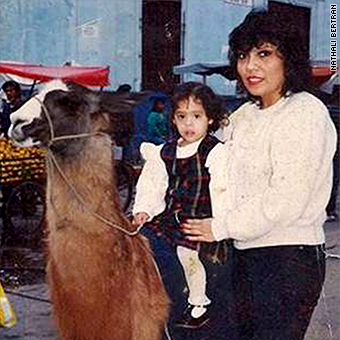 A young Nathali alongside her mother in Peru. Her DACA status is set to expire in July 2019. If she's unable to renew it, she'll be forced to give up her job as a product development and design engineer at Honda Research & Development Americas. Bertran was hired by Honda three years ago after graduating from the City University of New York. She had attended college on a full scholarship and earned her degree in mechanical engineering. "A lot of Dreamers will remain in the U.S. illegally to be with their families after they lose their DACA status. For me, I might relocate. I would find an engineering job abroad if I have to," she said. Bertran also doesn't want to have to let go of her entrepreneurial aspirations. In March, she and her boyfriend, Brook Kohn, launched DACA Time, an online platform that helped Dreamers prepare first-time DACA applications and renewal forms. "It's similar to how TurboTax helps with tax preparation," she said. Trump's decision this fall dealt a blow to DACA Time, but Bertran said they're still in business and the company's funders are still backing the operation. 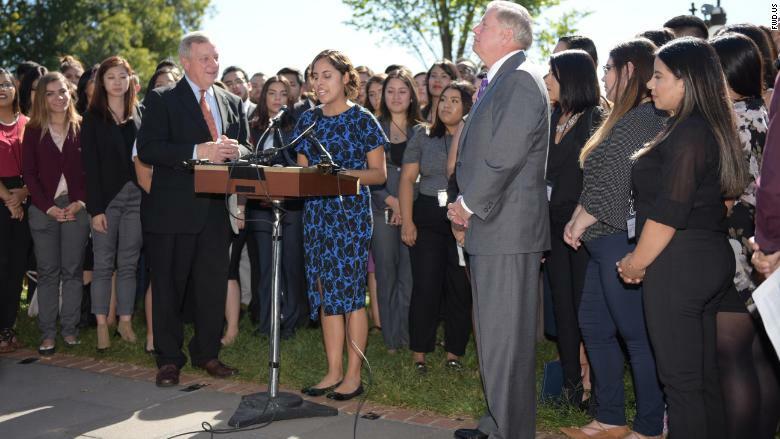 Nathali speaking before members of Congress in Washington, D.C.
"If some sort of legislation passes [on Dreamers], then we will update what we've built thus far to accommodate that new [DACA] application process," said Kohn. "If nothing passes, then that would be devastating for us, Nathali and the other Dreamers." Without DACA, Diego Corzo will lose his driver's license -- and, most likely, his job. Two years ago, Corzo and a business partner opened a real estate franchise in Austin and he started selling houses. "As a real estate entrepreneur, having a driver's license is crucial to my business and to my livelihood. Without a license, I can't drive to show houses to my clients. I can't bring business into my company," he said, noting that his business sells between 80 and 100 homes a year. "It's details like these about our situation that don't occur to most people." Corzo's DACA status expires in May 2019. He plans on staying in the U.S., but "I will live in fear because I don't know what will happen to me," he said, noting that his partner would have to take over the business. 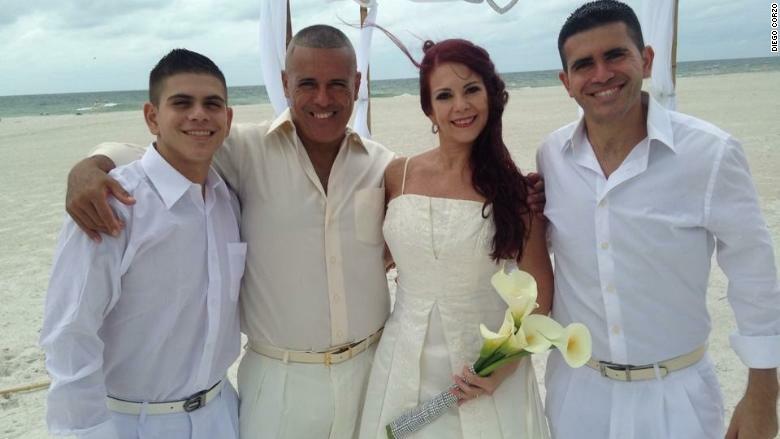 Diego Corzo [far right] with his younger brother Gonzalo, his father Jorge and his mother Jessica Arias. Now 27, Corzo came to the U.S. from Peru when he was nine. He graduated high school third in his class and subsequently earned dual undergraduate degrees in information technology and management of information systems from Florida State University. Corzo credits DACA for enabling him to land his first job straight out of college as a software developer with General Motors. "It's because of DACA that I was able to apply for the GM job. It's because of DACA that I could even get a driver's license," said Corzo. He eventually left GM to launch Nino Group. This year, he hired his first full-time employee at the firm. "I'm proud that I'm creating jobs as a Dreamer," he said. "The United States has invested in me, through my education here and my career opportunities. I want to give back," he said. "I can't do that if I'm deported." "Losing DACA isn't just about me and my career," she said. "So many people have invested in me to make my dreams come true, and it's important to me to stay in my country and give back."